The Fat One is at the HORRAH Hotel but pre-recorded a LITTLE show for you before leaving which is filled with voiceletters, Ask Big Fatty questions and some kerfuffles. Happy Weekend. Scroll to yesterday’s LITTLE show for the links mentioned on today’s show and don’t forget to tune in to Pride48 this Sunday, June 10, at 8PM EDT for the last State of the Station before the live Pride48 event at the end of the month! 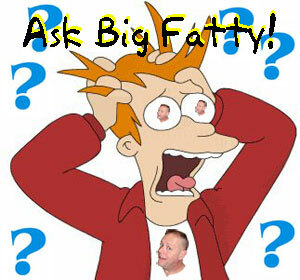 Posted by Big Fatty in Podcasts on June 8th, 2018 ‌ Both comments and pings are currently closed. I really gotta stop drinking and msging. What I was trying to ask was..is there a sport that you think has the hot guys? Is there a particular sport that gay guys in general think has the hottest men? Hi BF..could you let Moose know this video is here? I use to watch Ian play when I lived in Sydney.